Soft and cozy - everything a good pair of mittens should be! 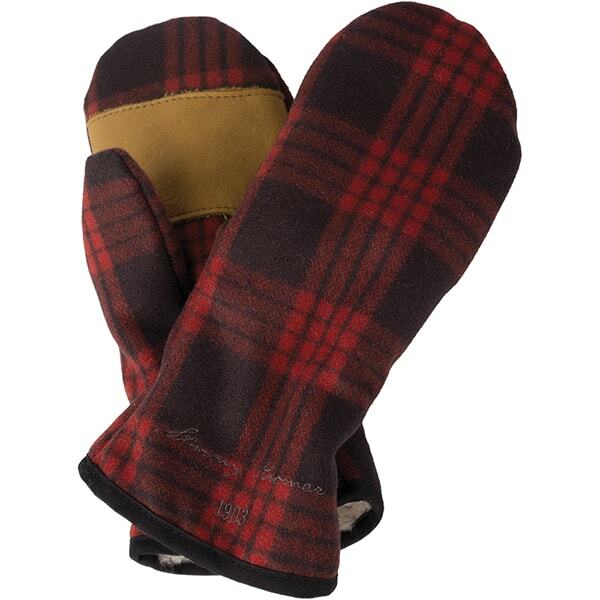 They're handcrafted in the USA with a quality blend of materials, like the super soft polyester Sherpa lining, so they keep your hands warm and happy. Handcrafted by Stormy Kromer®, who has been making American apparel since 1903! USA-made clothes are a rare find these days, and for them to be handcrafted too…well, you know you're getting something truly special. Stormy Kromer® has been making clothes in the USA since 1903! To find your mitten size, measure your dominant hand around the widest part (excluding your thumb). Round up when between sizes. Did you know…that Stormy Kromer was a real person? His wife, Ida, sewed a special cap he had wanted, which led to Stormy Kromer the company. These mittens are named after Ida.